Antigonish Performing Arts is pleased to announce the second concert in the 2018-19 season on Saturday September 29th at 8pm in Immaculata Auditorium. It is Homecoming Weekend and this is our part of the festivities. This will be a great concert, featuring Ensemble Made in Canada playing a Beethoven quartet and a suite from a specially commissioned work about Canada, called Mosaïque. 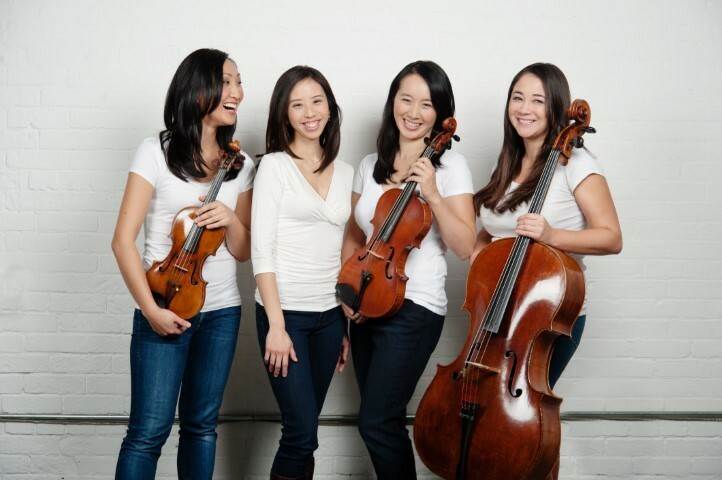 The ensemble includes Angela Park, piano, Elissa Lee, violin, Sharon Wei, viola and Rachel Mercer, cello. Ensemble Made In Canada’s Mosaïque Project consists of three components: a newly commissioned suite of piano quartets by 14 Canadian composers, each inspired by a particular region of Canada, a national concert tour throughout the 2018-2019 season, and a specially designed website that will document audience-generated artwork inspired by the musical commission.